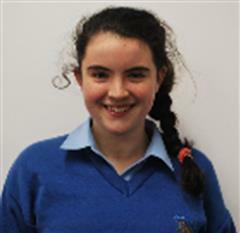 We would like to encourage all students to take part in our Creative Writing Competition, sponsored by Centra. We would like to wish all of our students, teachers and parents a very Happy and Holy Easter break. 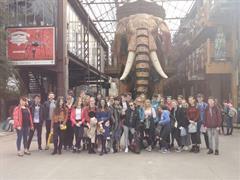 A number of our Transition Year students recently traveled to Redon in France to participate in a French Exchange. 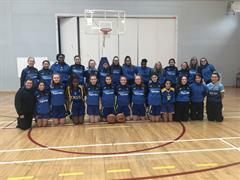 The students were accompanied by their teachers, Mr. Lonergan and Ms McQuinn. 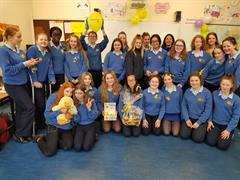 Well done to the students in 2C class who recently held a cake sale to support Daffodil Day. 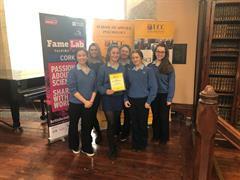 Transition Year student, Elizabeth Scanlan is this year’s overall National Winner of the Columban Schools Video Journalism Competition on ‘The Challenge of Climate Change' organised by the Missionary Society of St Columban. Welcome to the website of Christ King Secondary School. We are committed to providing an environment within which the development of intellectual and spiritual values is of prime importance. We hope you find all the information that you are looking for and if you have any questions please do not hesitate to get in touch.